Welcome to our community listing. To the right of the screen you’ll see our calendar of events. Below you’ll find information about our residents and links to their websites. EnergyTeachers.org – Two members of Etopia, Solar Sierra and Windy Schor, representing USA charity EnergyT eachers.org, build virtual objects that demonstrate real-life technologies, and hold meetings and discussions between educators and interested people. Windy uses the realistic wind that blows through Second Life regions to develop methods for gathering statistics about wind. She also develops novel ways of using 3D graphics to visualize wind statistics. Solar builds solar cookers and other solar devices that explore typical and special ways to build them. 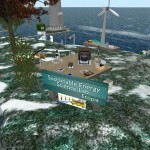 Windy and Solar are currently planning to offer EnergyTeachers.org’s annual Green Dollhouse Challenge in Second Life. 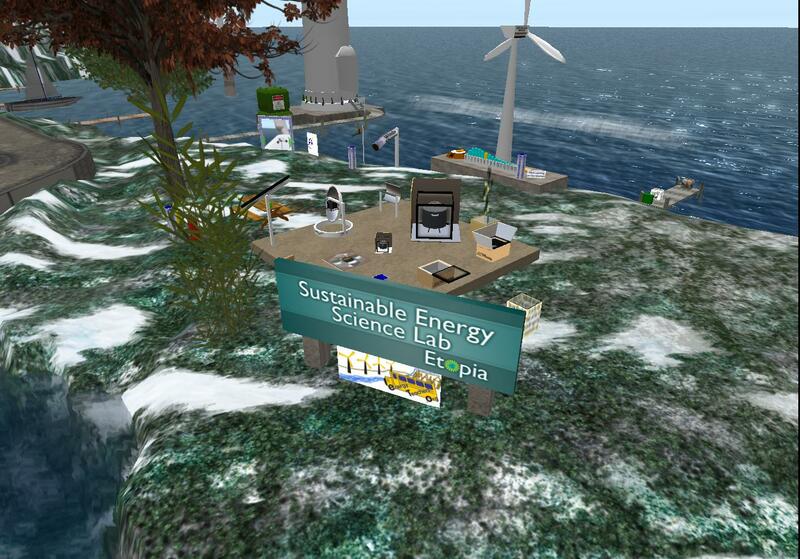 Visit our Sustainable Energy Science Lab in Second Life on Etopia Island. Brain Energy Support Team (BEST) is a 501c3 nonprofit organization founded in 2008. The mission of BEST is to provide support, advocacy, public awareness, education, and socialization opportunities to individuals with a brain injury and their families. BEST distinguishes itself from other brain injury organizations in that the leadership, services, and programs are built by and for individuals with brain injury and their families. Be sure to visit the BEST SL office at Etopia Plaza near the Main Landing Area. Kayly Iali’s Gallery is filled with her real world artwork at great SL prices. Kayly is a real world oil painter and brings her work to SL for us to enjoy. Stop by her gallery near the Coastal Village landing area on Etopia Prime.